Macau is a city located west of Hong Kong. 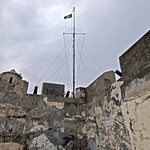 It used to be a Portuguese colony, which is evident in the incorporation of Mediterranean architectural style in its ruins, churches and fortresses. 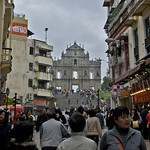 Travel to Macau is popular among tourists looking for cultural diversity. Despite the evidence of colonialism, the Chinese heritage in Macau is also highly evident. The fact that gambling is a huge industry in Macau has people referring to it as the “Vegas of the East”. Despite being rather small in size, there is no shortage of destinations and attractions in Macau. 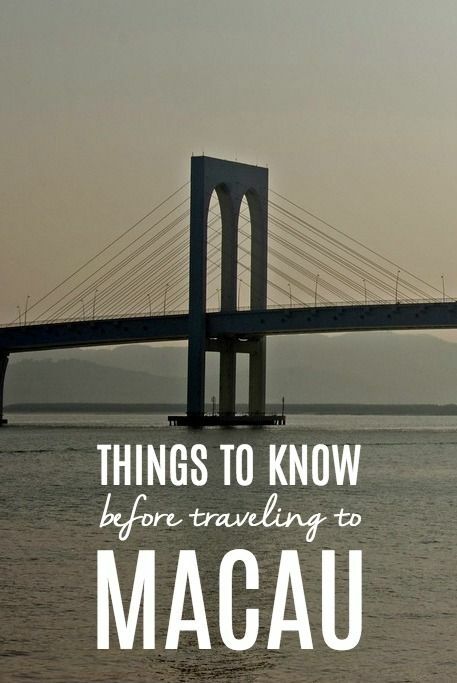 Some of the notable attractions in Macau include the following: Ruins of the Church of St. Paul, Coloane, Guia Fort & Guia Chapel, Macau Museum of Art, Taipa, and Senado Square, among others. 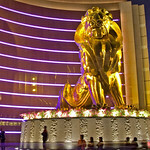 Macau is considered as a special administrative region of the People’s Republic of China. However, its history is far more diverse and storied than that. It was leased to Portugal during the mid-16th century as a trading post. However, it remained under the sovereignty of the Chinese republic. 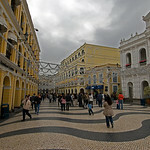 However, the Portuguese considered and administered Macao as a de facto colony. When the Chinese and British signed the Treaty of Nanking in 1842, along with the signing of treaties with other foreign powers in the late 19th century, the Portuguese attempted to form a treaty with China. However, they were unsuccessful in doing so. By 1887, the Portuguese were finally able to strike a deal with China. They came into an agreement that Macau would be considered a Portuguese territory that ended 330 years of uncertainty about its sovereignty. But the sovereignty on Macau was handed back to China in 1999. 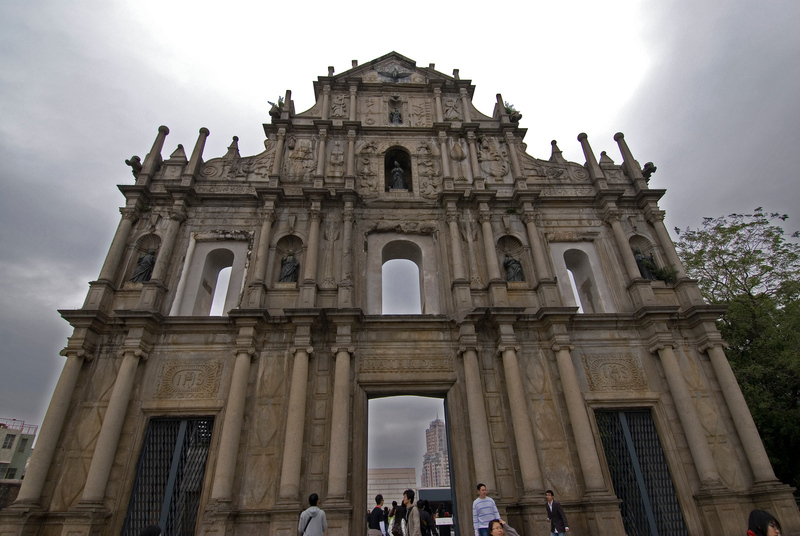 Despite that, the many years that the Portuguese took control of Macau had left a lasting impact on the architecture, history, and culture of Macau. Even its cuisine showcases the deep level of influence that the Portuguese had over this territory. In fact, it is currently known as the last extant European territory in Asia. 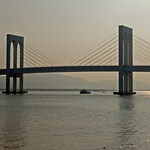 Connectivity: There are several free Wi-Fi hotspots when you travel to Macau. However, the most reliable way to stay connected is to buy a local SIM card. It is also the cheapest method for staying connected plus it allows you to make local phone calls. You can choose from any of the top three mobile operators in Macau: “3 Macau” (Hutchison), Smartone, and “CTM BEST”. International Airport/s: The Macau International Airport is the main international airport for flights that travel to Macau. This is the only airport that is operating within Macau. However, you can also take a flight via the Hong Kong International Airport. Visa Required: Nationals from 66 countries are exempt from obtaining visa for travel to Macau. For most others, you can obtain a visa upon arrival. Meanwhile, visa requirements for Vietnam, Sri Lanka, Nepal, Nigeria, Bangladesh and Pakistan have been changed in 2010. These nationals must obtain a visa to travel to Macau. International Driver’s License Accepted? Any foreign driver in Macau can use their foreign-issued driver’s license. But if you intend to stay for more than one year, you should apply for a Macau driver’s license. Crime: The overall crime rate in Macau is low. There are no real threats to tourists that travel to Macau as far as safety is concerned. Electrical Adapters: The standard voltage used in Macau is 220 volts with an electrical frequency of 50 Hertz. Rail Travel: The Macau Light Rail Transit is one of the main methods of transportation for those who travel to Macau. It is cheap, convenient, and efficient. Hence, it is recommended that you use this rail transit system if you want to get around for cheap. Car Travel: There are several car rental companies operating within Macau. It is recommended for tourists who are staying for an extended period of time and want to be able to freely explore the sights and sounds of Macau. With an impressive road network, it should be an ease driving around Macau. 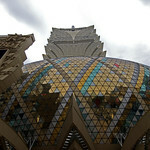 Trivia: DID YOU KNOW that Macau’s population is made up of 95% Chinese? It is also the only place in China wherein gambling is legal. The cuisine of Macau is referred to as Macanese cuisine. It features a blend of southern Chinese and Portuguese influences. There are also some elements of Southeast Asian cuisine too. The Portuguese had introduced many spices to Macau in an attempt to replicate many European dishes during the colonizer’s stay on the island. Many of these spices are by the Macanese locals until today. Another distinctive characteristic of the Macanese cuisine is through the cooking techniques used. They involve a lot of roasting, baking, and grilling. The method of cooking, combined with the spices used, form the unique flavor-blending culture that Macau is known for. With that said, Macanese cuisine is one of many fusion cuisines that you can experience in Asia. The House of Dancing Water: There is no bigger attraction in Macau than this. It is the world’s largest water show that is performed within a 2,000-seat theater that was worth $250 million to build. The show is produced by Director Franco Dragone. It lasts for 90 minutes and features mind-blowing performances from gymnasts, dancers, divers, motorcyclists, and circus artists. 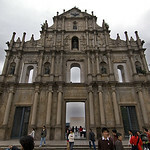 Ruins of St. Paul: This is another notable tourist attraction for those who travel to Macau. The well-known facade is the only thing left of a 17th century church that was destroyed by fire. It comes with an on-site religious museum that is also worth checking out. 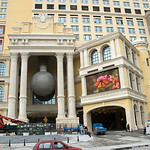 The Venetian Macao: Macau is best known for its gambling industry, which earned it the nickname the Vegas of the East. Hence, a trip to The Venetian Macao is a must when you travel to Macau for you to experience the plush restaurants, outdoor pools, and gondola rides. 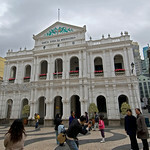 Senado Square: Also known as Senate Square, this public square is another tourist favorite in Macau. This is part of the UNESCO site encompassing the historic district of Macau. It is filled with many shops and restaurants. 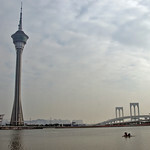 Macau Tower: Modeled after the Auckland Tower, this is another notable architectural feature in Macau. You can climb up the tower to get the most amazing views of the city. You can also find many shops and restaurants in the tower itself. 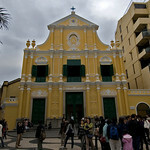 A-Ma Temple: This is the oldest temple in Macau that was built in 1488. It was built in honor of the Chinese sea goddess Mazu. 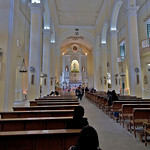 St. Dominic’s Church:In addition to the St. Paul’s ruin, this is another famous church that tourists love to explore and visit when they travel to Macau. It is a 16th century Baroque style Catholic church. It serves as the center of the Diocese of the Roman Catholic church. Museum of Macau: This museum is located on the hill of the Fortaleza do Monte and is home to the many artifacts that exhibit the history of the city of Macau, which is a former colony of the Portuguese. Pocket Rough Guide Hong Kong & Macau. This guide from Rough Guides is your handy guide when exploring Hong Kong and Macau. From finding the most delicious dim sum to checking out the best views, all you need to know is in this guide. Hong Kong & Macau (City Travel Guide). This guide is a collaborative work between three authors and is designed to be an easy guide for discovering the hidden gems when exploring Hong Kong and Macau during the day. 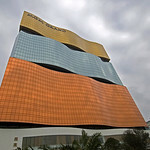 Fodor’s Hong Kong: with a Side Trip to Macau. Fodor’s is another authority when it comes to travel. Hence, you can expect this book to be complete with information you need to know about what to see and where to go in Hong Kong and Macau. 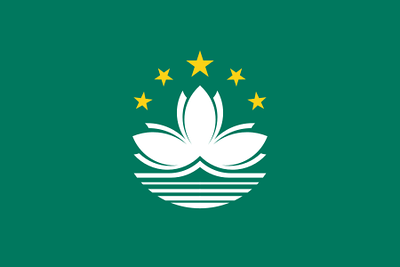 Viva Macau!. This is a hard cover book provides a refreshing perspective on the culture and history of Macau, outside of the vibrancy that the casinos and modern development.